The bug that is commonly referred to as the tomato bug might have been around for a while, but it was in the spring of 2014 that a homeowner in Goleta (Santa Barbara County) reported infestations and damage to tomatoes in their home garden for the first time. 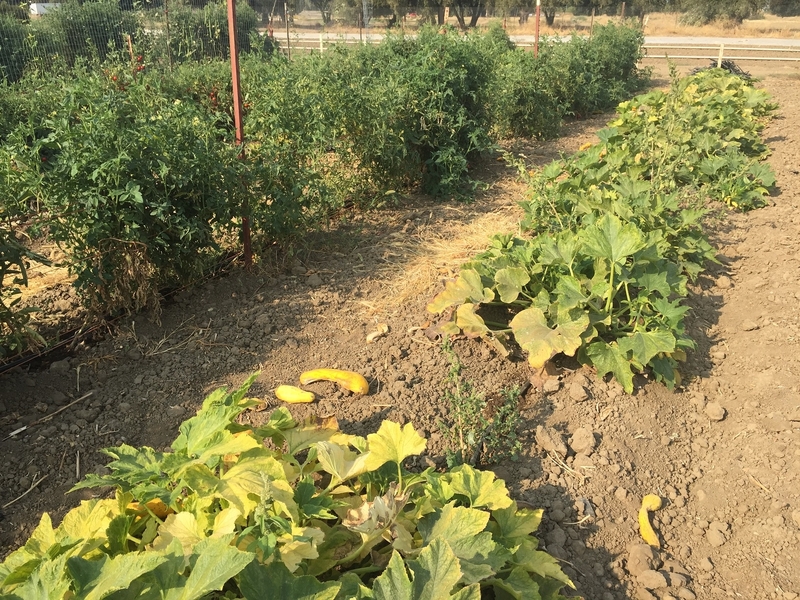 In August, 2015, an organic vegetable grower in the Lompoc area had severe tomato bug infestations in tomatoes and zucchini. 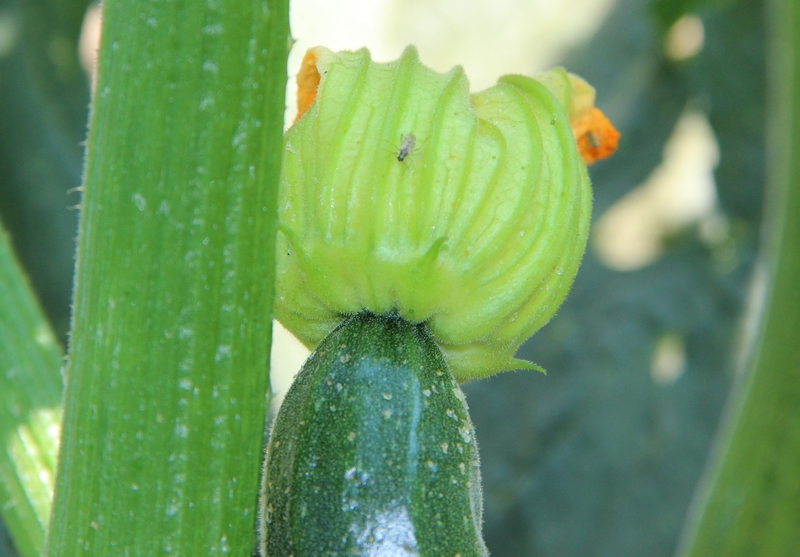 In a tomato field intercropped with zucchini bugs were found on both hosts, but more on the younger zucchini plants which have developing flowers and fruits compared to mature tomato plants. This incidence suggests the potential of tomato becoming an important pest of vegetables in commercial fields and home gardens. In September, 2015, tomatoes and yellow squash plants at the University of California Davis vegetable garden also had moderate tomato bug infestations. Younger tomato plants in the Davis garden had more tomato bugs than the squash plants next to them. 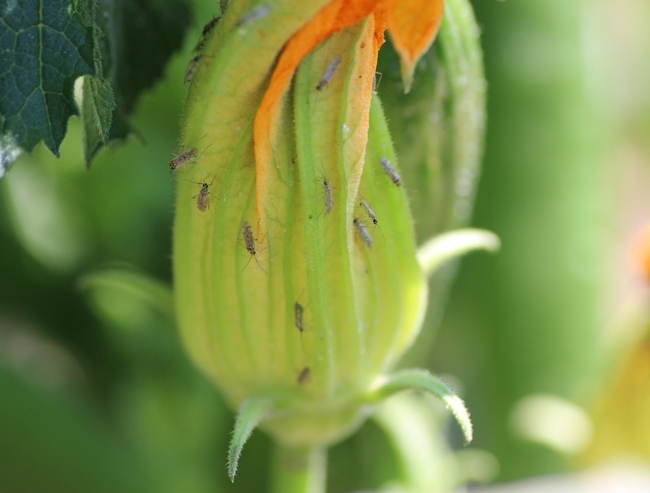 It appears that tomato bugs can infest multiple hosts other than tomatoes and probably have a preference for plants with actively growing flowers and fruits. Tomato bugs on zucchini flowers. Feeding damage appears as depressed spots on the fruit. A field study planned for managing tomato bugs on organic tomatoes and zucchini with several botanical and microbial pesticides could not be executed, but the grower reported effective control with Pyganic+OroBoost and Pyganic+DebugTurbo+OroBosst when they tried some products on their new zucchini plantings under hoop houses. Other treatments that included Entrust, Trilogy, Pyganic, and DebugTurbo did not appear to suppress tomato bug populations. This input from the grower can be useful until scientifically conducted field study results are available in the future. It is not clear if tomato bug is emerging as a new vegetable pest in California or the warm and dry conditions in recent years are contributing to the secondary pest outbreaks. 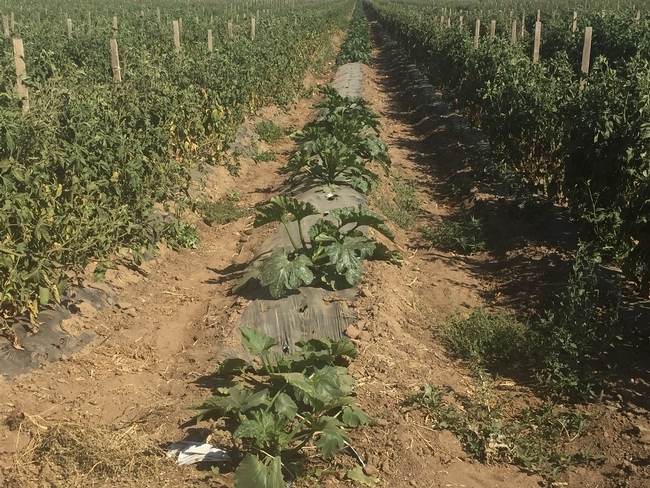 Considering significant yield losses caused due to organic zucchini in the Lompoc area, it is important for growers and PCAs to know about the pest so that tomato bug can be added to their monitoring program. Information on tomato bug origin, biology, and damage can be found at: http://ucanr.edu/blogs/blogcore/postdetail.cfm?postnum=14833. There is some discrepancy about the identity of what is commonly referred to as the tomato bug. Entomological Society of America listed Engytatus modestus (Distant) as the tomato bug and it is referred to as such and considered as a biocontrol agent in some literature (Parrella et al., 1982). However, Nesidiocoris tenuis (Reuter) is referred to as the tomato bugn in other reports where it is considered as a pest (El-Dessouki et al., 1976, Santa Ana, 2015). N. tenuis is generally considered a beneficial insect and Arnó et al. (2006) characterized the damage to tomato plants. This insect is considered as a potential predator for controlling the tomato borer, Tuta absoluta (Meyrick), which has emerged as a serious pest in Spain and other European countries (Urbaneja et al., 2008). Another study in Spain reported N. tenuis both as a predator and a pest (Calvo et al., 2009). 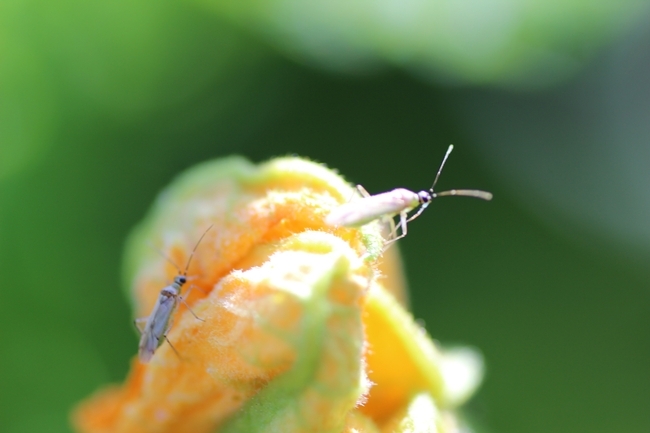 As a predator, tomato bug caused a significant reduction in sweetpotato whitefly, Bemisia tabaci Gennadius, populations under greenhouse conditions, but also caused necrotic rings on the petioles of leaves. 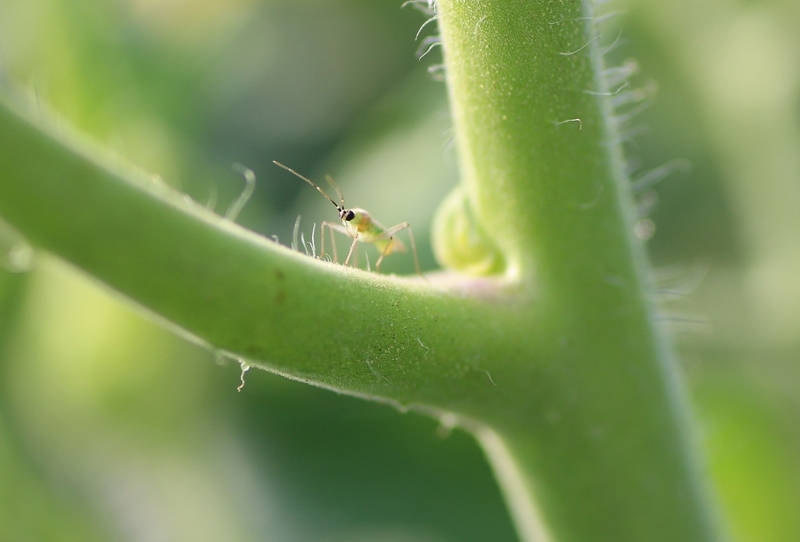 Regardless of the taxonomic status, tomato bug can both be a predator of several arthropod pests and a pest of tomatoes, yellow squash, and zucchini. Since it can feed on insects and plants, it is considered zoophytophagous. El-Dessouki, S. A., A. H. El-Kifl, and H. A. Helal. 1976. Life cycle, host plants and symptoms of damage of the tomato bug, Nesidiocoris tenuis Reut. (Hemiptera: Miridae), in Egypt. Zeitschrift fur Pflanzenkrankheiten und Pflanzenschutz 83: 204-220. Parrella, M. P., K. L. Robb, G. D. Christie, and J. A. Bethke. 1982. 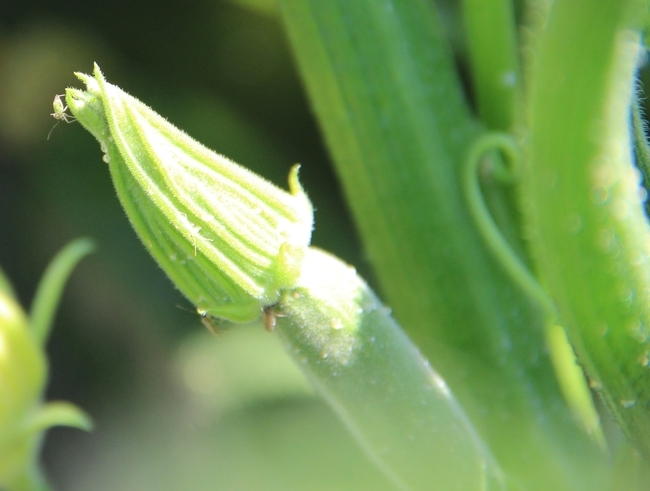 Control of Liriomyza trifolii with biological agents and insect growth regulators. California Ag. 36: 17-19. Urbaneja, A., H. Montón, and O. Mollá. 2008. Suitability of the tomato borer Tuta absoluta as prey for Macrolophus pygmaeus and Nesidiocoris tenuis. J. Appl. Entomol. 4: 292-296.